Are you tired of handing out flyers in malls or MRT/LRT stations, begging people to attend some business orientation in some building in Ortigas or Cubao, or pestering friends and relatives about your latest network marketing or MLM business opportunity? 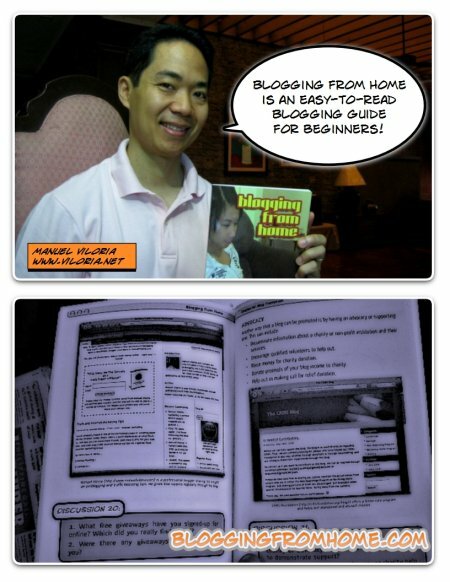 Here’s a more relaxing way: Blog Marketing. But don’t do what so many newcomers do. Please do not blog only about SWA Ultimate. Instead, share useful articles or stories of your experiences with other products or services. Your goal is to help other consumers make a decision about those products that you have tried. Whether it’s a gadget, or clothes, or a movie, or even a restaurant or travel experience. Your goal is to help people SAVE TIME, because they’re doing research and your personal story quickly answers their questions. If you don’t want to write, then record yourself talking about that product or service. And yes, upload your video to YouTube. Yes, it does. And you have proven it. Here you are, right now, reading this webpage. And I didn’t force you to come here, right? I might be asleep right now, or working, or traveling with my kids. And yet, here you are, learning more about internet marketing and how to make money online. This webpage may have been published days, weeks, or even months ago, and yet here you are TODAY, getting benefits from work done in the past. Sa madaling salita: Work Once, Earn Many Times. Income + Time… The perfect combination. Having the money plus the time to enjoy the fruits of your labor, in the company of your loved ones. And you can have all that, with the help of Blog Marketing. Join the SWA-Pinoy mailing list for updates and internet marketing tutorials today! Supreme Wealth Alliance – SCAM or Not?